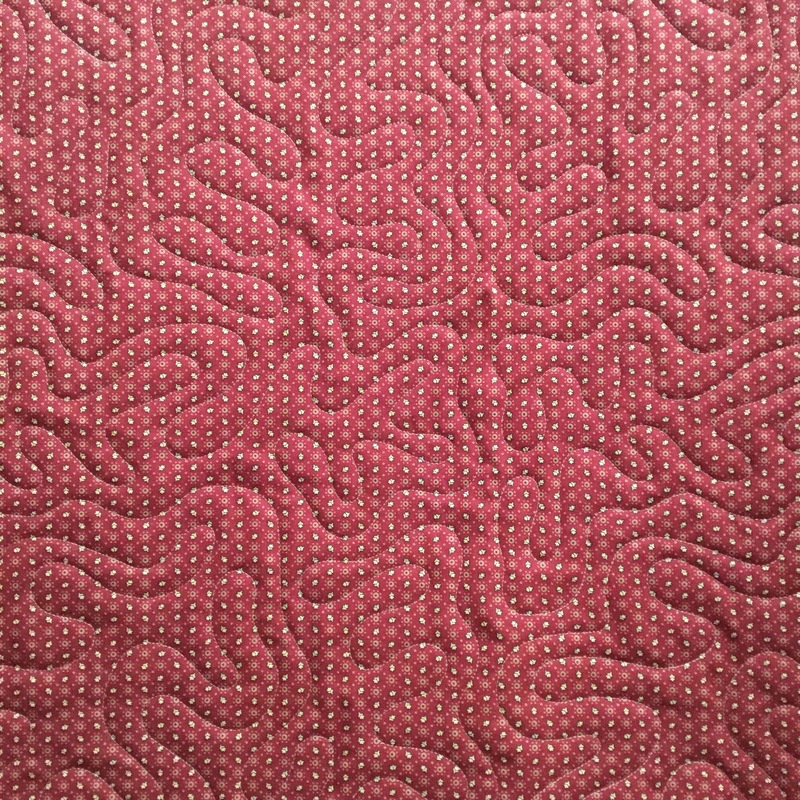 I finished quilting a couple more tops from our Stitching Sisters QOV group. 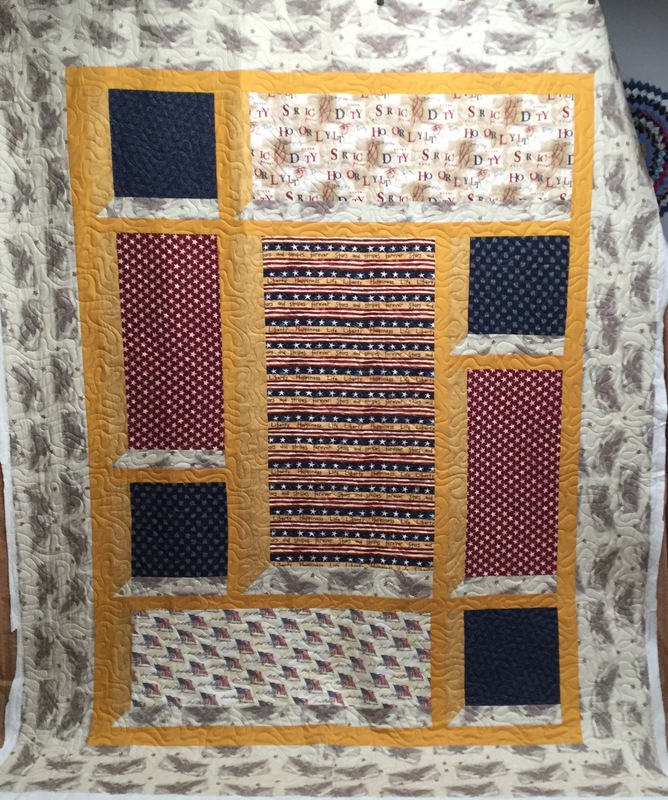 I quilted this one, by Val, with a new panto called Petal Flambe, from Urban Elementz. 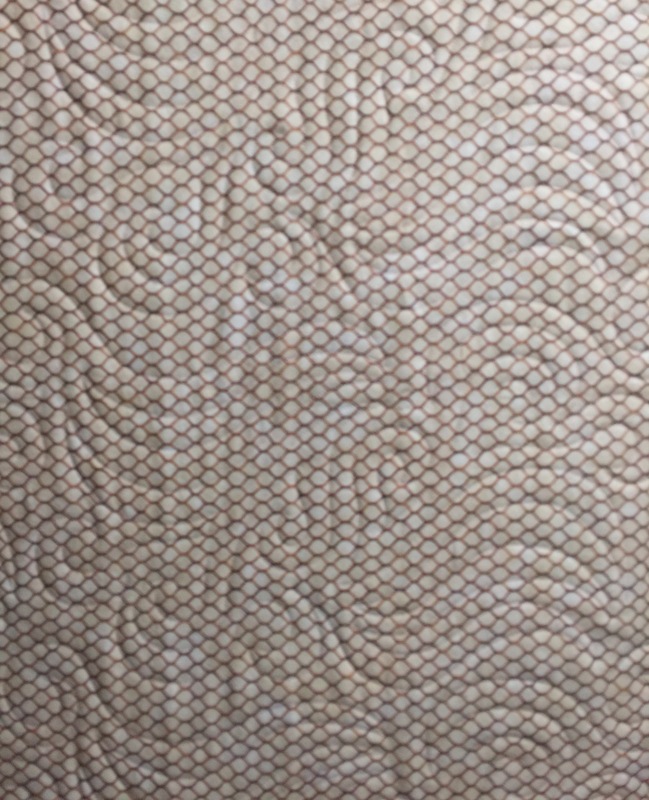 I used Glide thread in Light Tan. This next one was made by Terri. I love the fabrics in this one! That eagle border is amazing. I should have taken a close up of that. I used a panto called Elongated Meander from Digi-Tech on this one. I have the next one on the frame and started. I hope to have it done to share with you all on Friday. 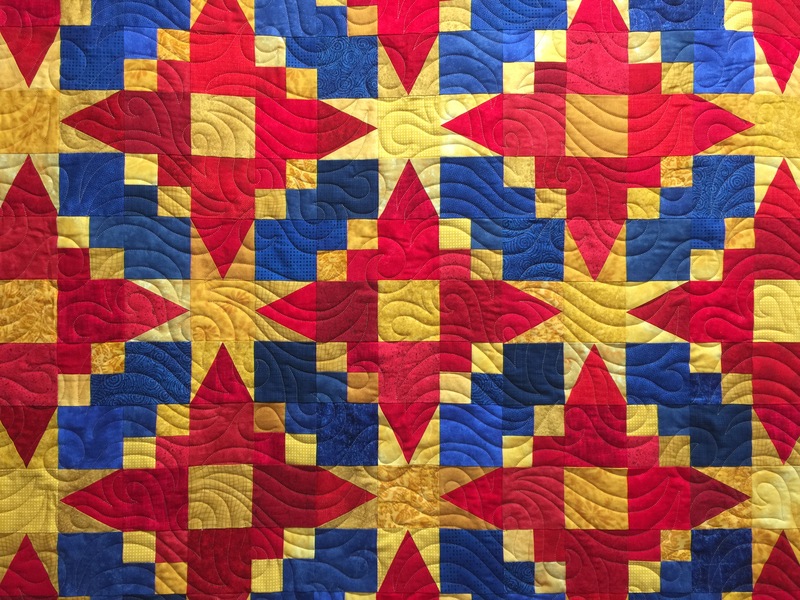 5 Responses to More Quilts of Valor! Katy you’re outstanding! 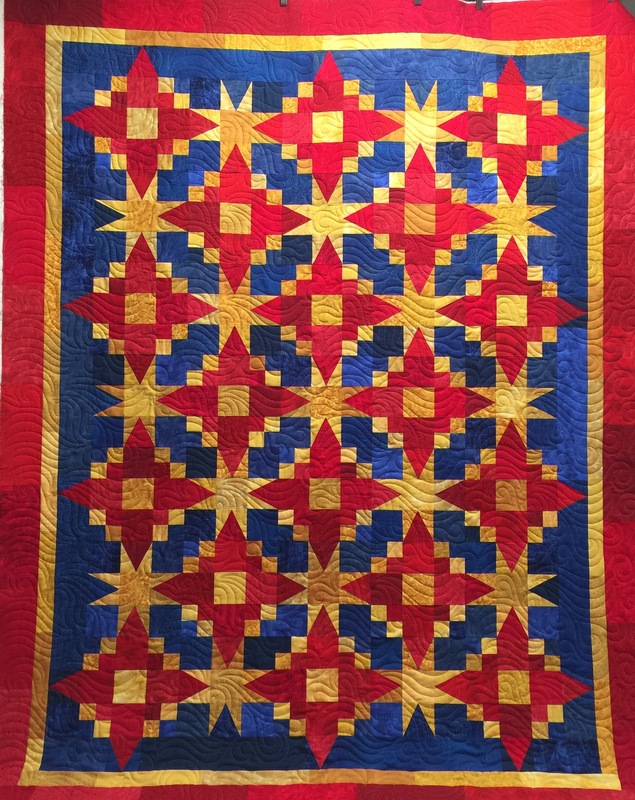 Love the quilting you did on mine and Val’s quilts. 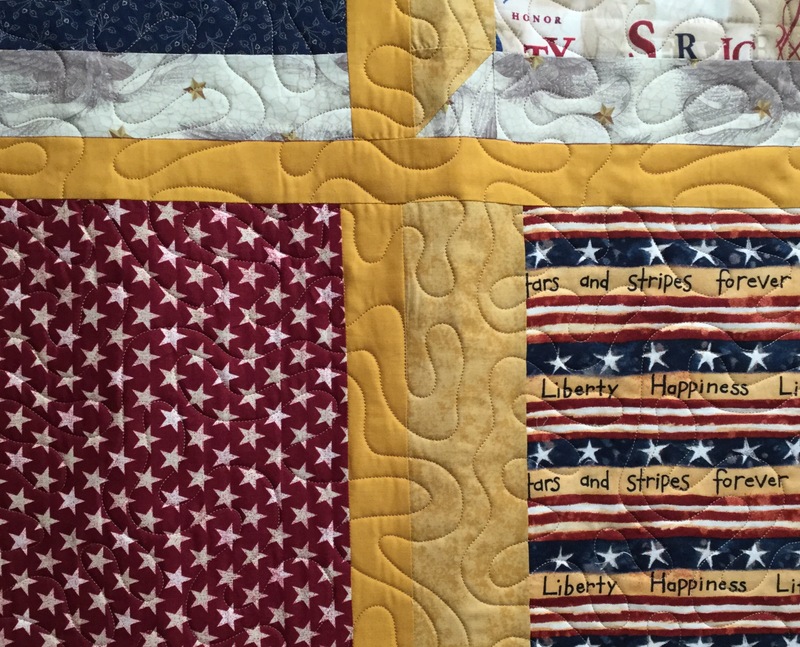 Val’s quilt turned out beautifully – so glad you shared it with us on Midweek Makers! That Petal Flambe is a great balance for the sharp angles of the red and gold Tribute QOV. Wow – that Petal Flambe is an awesome panto and looks terrific on Val’s quilt top. Hope we’ll be seeing more of that one!